Tired of finding no relief for your chronic migraines and neck pain? 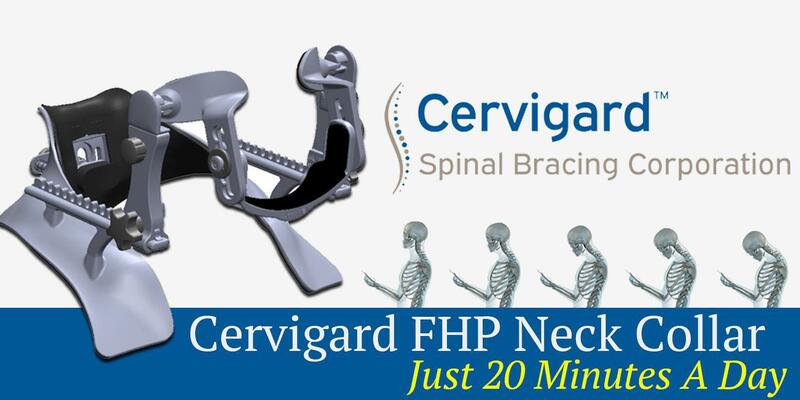 The Cervigard FHP Neck Collar has arrived! For just 20 minutes of wear a day, the collar effectively treats those symptoms by training your neck to be in the correct position. Unfortunately, most people that suffer from neck pain do not find long term relief with traditional therapies. With people constantly looking down for their work or spending hours on their smart phones, neck pain (or text neck) is becoming a huge issue. With this revolutionary new product that our Dr. Gerard Malanga is the Medical Consultant and Director of Research of, patients will have improved productivity at their jobs, avoid spinal surgery/epidural injections, reduce reliance on pharmaceutical aids and save money on ergonomic products that promise to correct the issue. To find out more, please go to Cervigard’s website, watch the videos below and ask one of our physicians at your next office visit. Our physicians have spent considerable time vetting the CBD products we offer our patients as there has been a recent explosion of products on the market. Hemp or cannabis is good at detoxifying soils so the plant absorbs unwanted substances. CBD may contain heavy metals, grown with pesticides/herbicides that are concentrated, be grown on old tobacco fields (include nicotine), be poorly handled with fungal contamination, etc. If you choose another CBD product, make sure you investigate the purity and receive what is on the label. Look for independent third party testing and reviews of CBD products, such as CBD and Contamination – the dangers and how you can stay safe. CBD CLINIC™ has developed a breakthrough topical formula that is safe/fast-acting pain relief for acute and chronic musculoskeletal pain. Please ask one of our physicians at your next appointment. We offer CBD CLINIC™ Analgesic Ointments and Creams Levels 1-5. To learn more about CBD CLINIC™ products from their website, Click Here. sam® Sport is the first and only FDA cleared bio-regenerative (ultrasound) medical device. It reduces the pain associated with tendon, ligament or muscle injuries and accelerates the body’s healing process as well as being able to provide daily, multi-hour therapy. sam® Sport can be great to use in conjunction with a regenerative procedure or treatment. sam® Sport is approved by most Insurance Carriers for Workers Comp patients and who have National Contracts with TPAs (including One Call Care Management (OCCM), VGM-Homelink, Coventry and Optum). It is also pre-approved by the Insurance Carriers for any injured player in the NFL, NBA, MLB, MiLB, NHL and MLS; in addition any injured college athlete via secondary insurance. Want to know more about sam® Sport? Follow this link! A medical ultrasound gel that one may need if the medical device becomes to warm or the gel from conductive patches is partially lost during application. It is also hypoallergenic and water soluble. Click the link below to purchase. The Earthing Body Band kit is a great introduction to Earthing for people who want to treat injury and inflammation by targeting specifics parts of the body with the healing energy harvested from the Earth. The bands are designed for every day use and are adjustable (this kit comes with one small and one large bands). The body bands can be easily placed around your arms, shoulder, legs and ankles. The Earthing Body Band kit can be used at night while you sleep or during the day while you are working. Click the link below to purchase. Post procedure care is important to your outcome. Below are some items that can be beneficial to your recovery.